Accomplish more with your time. Create professional-quality color documents, and speed through tasks with super-fast two-sided printing. Easy mobile printing options. 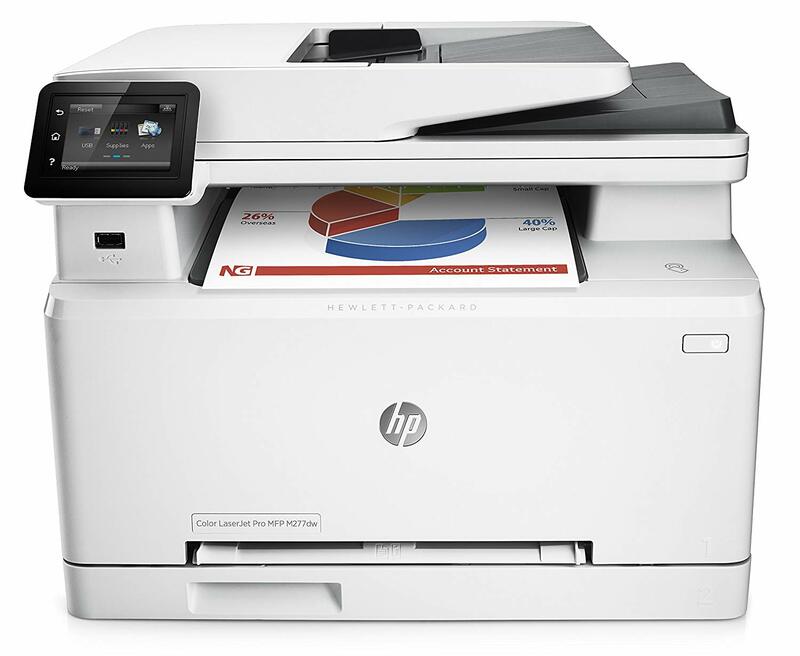 Print to this MFP with just a touch of your NFC-enabled mobile device—no network needed. More. Pages, Performance, and Protection. Get more pages than ever before—using Original HP High-Yield Color Toner cartridges with JetIntelligence. Get the authentic HP quality you paid for with anti-fraud technology. Meet everyday IT challenges head-on. Safeguard data and easily manage devices with a suite of essential security and management features.